13+ Scion FRS Shocks & Struts. Shocks & Struts for Scion FRS. 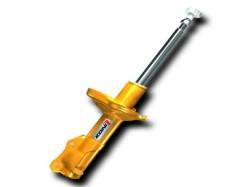 Front and Rear Adjustable or Non Adjustable Performance Shocks by Koni, Tokico & More. FRS Performance Shocks & Struts are more responsive & beneficial with lowering springs. Description: 8610-1416Sport Koni Sport Front Shocks for the 05-10 Scion tC. The Koni Sport product line is one of our specialties. 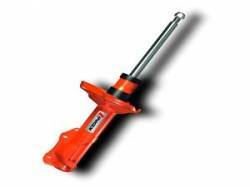 Koni serves Sporting Drivers with a carefully designed range of sport shock absorbers. Description: 80-2865Sport Koni Sport Rear Shock Absorbers for the 05-10 Scion tC. The Koni Sport product line is one of our specialties. Koni serves Sporting Drivers with a carefully designed range of sport shock absorbers. Description: Koni STR.T Front Shocks for 04-06 Scion xA / xB. With the introduction of the STR.T sport damper, we give everyone the ultimate road feeling of a KONl sport chassis the quick and easy way. Description: Koni STR.T Rear Shocks for 04-06 Scion xA / xB. With the introduction of the STR.T sport damper, we give everyone the ultimate road feeling of a KONl sport chassis the quick and easy way.